Caring for the health and beauty of your home’s landscaping in Atlanta, GA involves many different services but one of the most immediately recognizable and aesthetically important is thorough, personally tailored Atlanta lawn service. Under this one umbrella term of “lawn service in Atlanta, GA” homeowners can find a variety of projects, tasks, and specialties which ensure that every unique need which can be requested can be professionally, efficiently, and reliably responded to by the specialized lawn service Atlanta, GA team here at Chop Chop Tree! 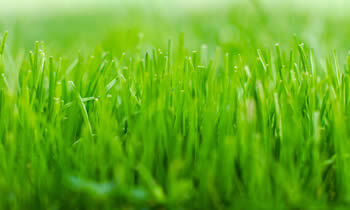 Why Choose Chop Chop Tree for Lawn Service in Atlanta, GA? Whether you’re in need of weeding, gardening, pest control, lawn mowing, shrub trimming or tree trimming in Atlanta, GA, you can count on quick, reliable solutions with your local Atlanta lawn service team here at Chop Chop Tree. Our professionals are dedicated to helping homeowners achieve the stunning appearance and style that they’re looking for in their landscaping in Atlanta, GA and to that strive to provide experience, equipment, and efficiency enough to make all forms of lawn services in Atlanta, GA available for those who need it. To further discuss your personal request for lawn service in Atlanta, GA with experienced professionals right in your area take a moment to call our friendly and knowledgeable Atlanta lawn service specialists at (678) 245-4737. You’ll be immediately connected with experienced professionals who have a proven track record of customer satisfaction who are available right now to provide you with a completely free at-home consultation and estimate for the specific, custom designed lawn services in Atlanta, GA that will help to make your home a bit more like your own.